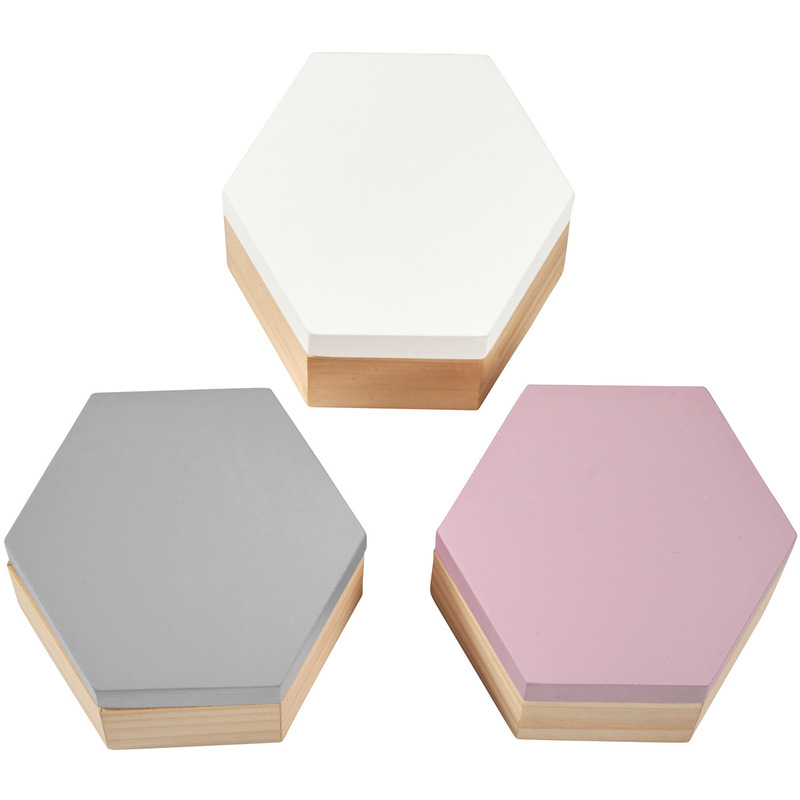 Set of 3 hexagon wooden boxes with removable lids in beautiful pastel shades. Perfect for storing or hiding away any small items. Available to buy as a set of 3 or individually.